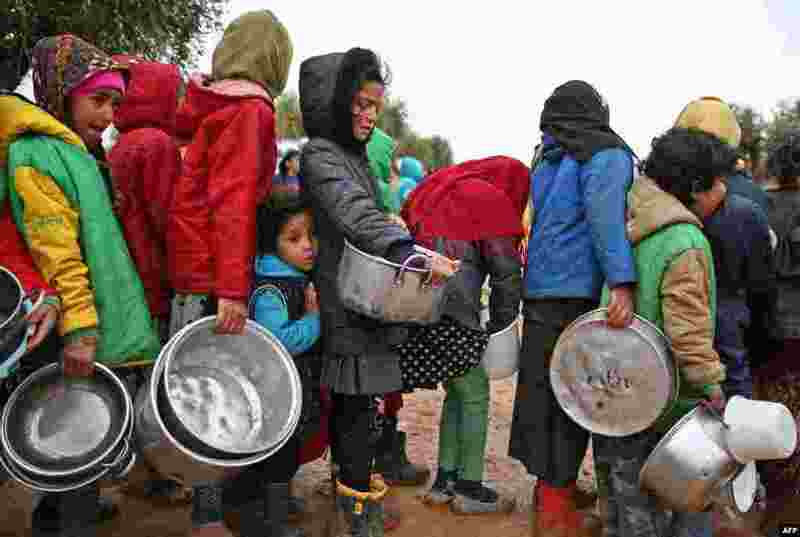 1 Syrian children line up to receive food from aid workers at an camp for displaced people in Aleppo Governorate near the Bab al-Salamah border crossing between Syria and Turkey. 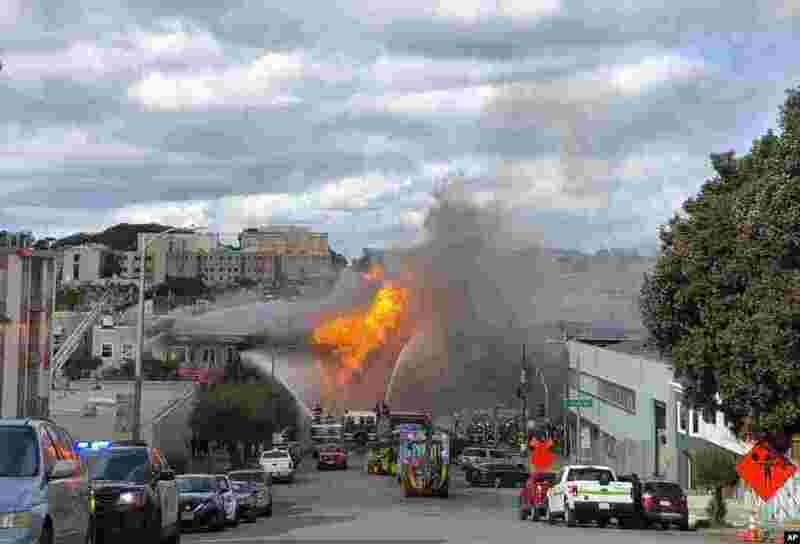 2 A fire burns in San Francisco, California on February 6, 2019, after an explosion on a gas line. 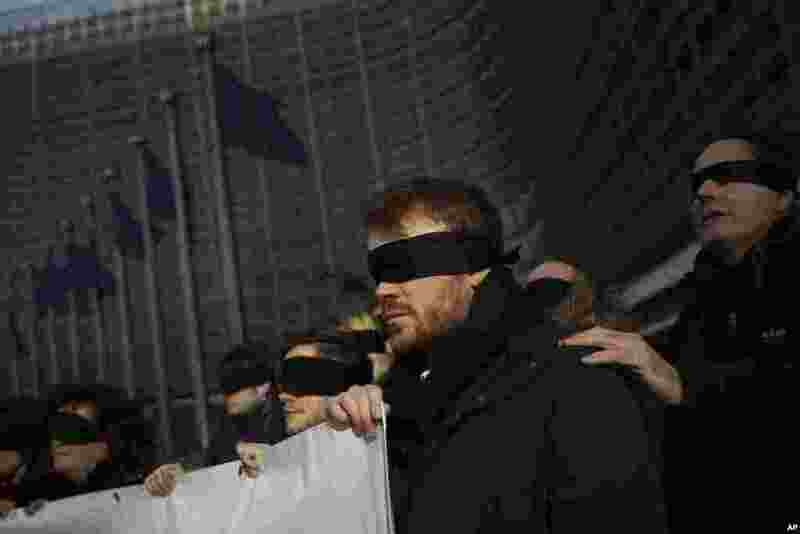 3 Anti-Brexit activists wearing cloth covers over their eyes protest outside the European Commission headquarters in Brussels, Belgium, during a meeting between EC President Jean-Claude Juncker and British Prime Minister Theresa May. 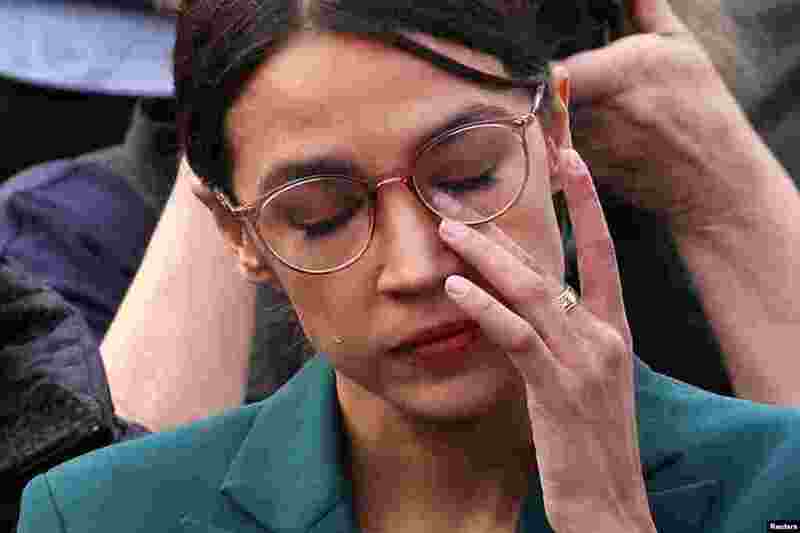 4 American lawmaker Alexandria Ocasio-Cortez (D-NY) wipes tears as her fellow Congresswoman Ilhan Omar (D-MN) talks about her experience as a refugee during a news conference to call on Congress to cut funding for ICE (Immigration and Customs Enforcement), at the U.S. Capitol in Washington, D.C.
Neistine bh. političara u 2018.